The final day of our trip was an emotional one. 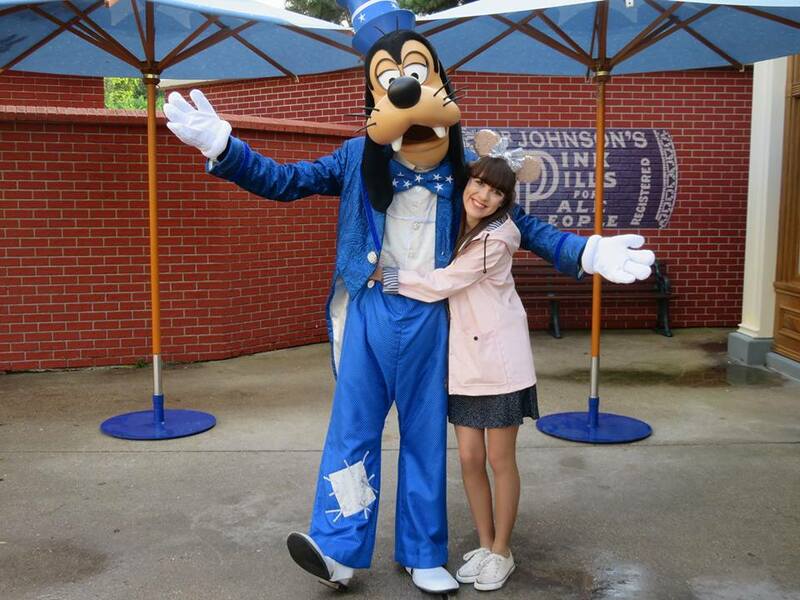 We started the day with a visit to Goofy. I'd never met Goofy in his 25th Outfit and I thought he looked very dapper. We thought that Pluto was going to be with him (which he normally is) but obviously Pluto was too tired to come out and say hello on this chilly morning. 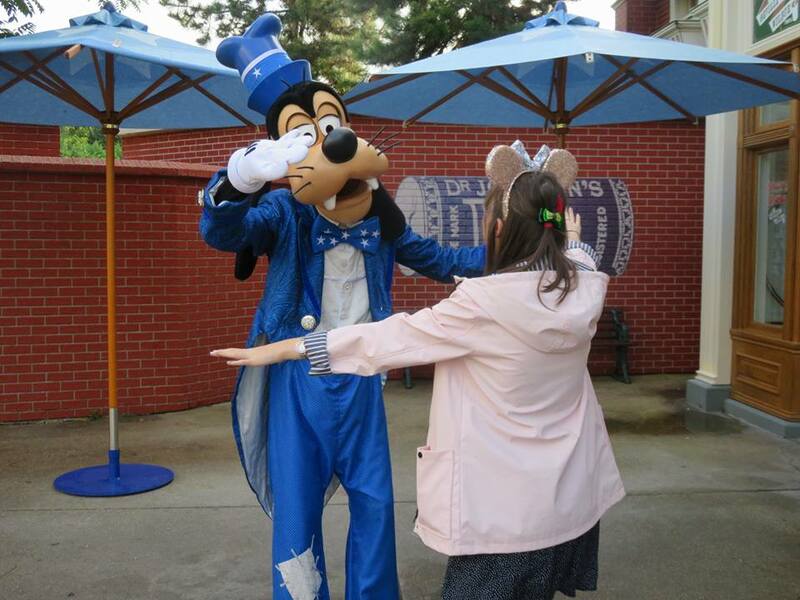 Goofy and I had a big hug, compared outfits and spoke about how pretty Main Street looked in the morning. We had a big group photo, blew lots of kisses and went to get some breakfast. In true tradition, breakfast came in the form of a croissant from the bakery and a bottle of sprite. I love Main Street Bakery, the decor is the dream aesthetic and the food is so good. 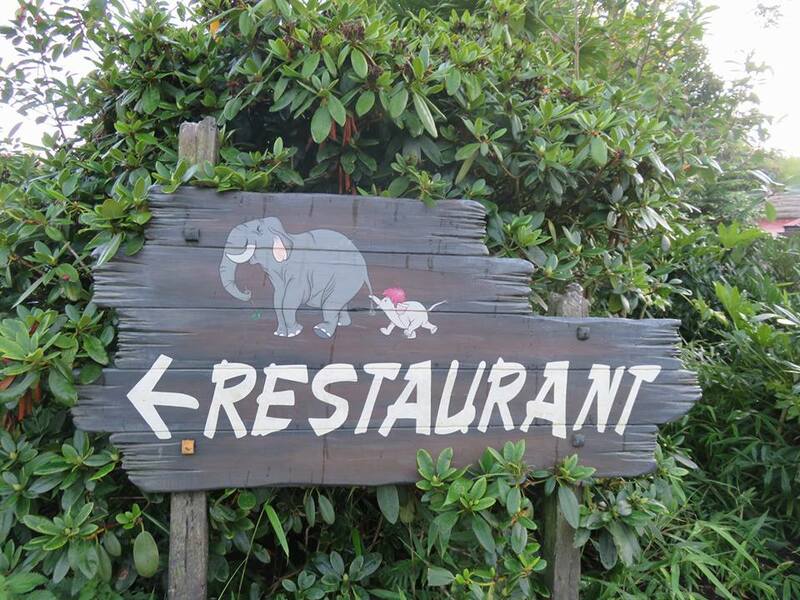 It's the perfect place to go for a little snack. 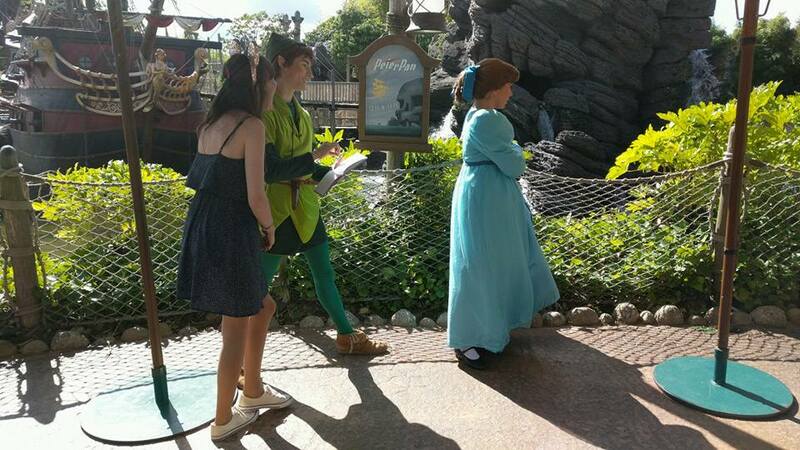 The girls decided that they wanted to head over to Studios before it opened to wait in the queue for Crush's Coaster. 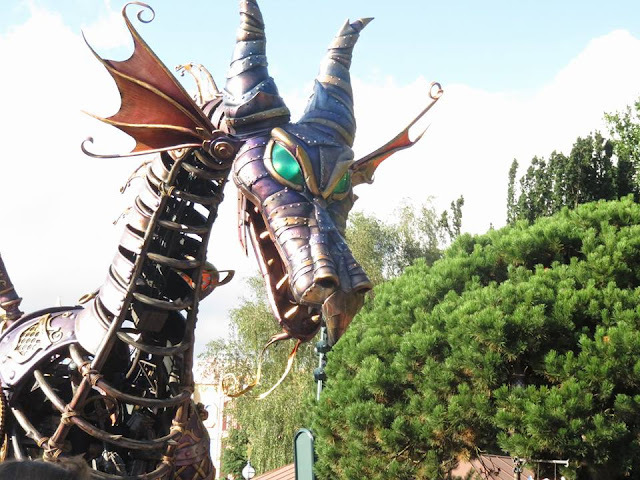 I chickened out of this one (I promise one day I'll be brave) and opted to go round the Disneyland Park on my own to take some photos and go on a few rides - the wait times were really good in the mornings. After my June trip, I enjoyed walking around the park on my own. It's nice to take in the atmosphere and appreciate the small details that you overlook on a daily basis. Going on rides and meeting characters doesn't bother me as much as it used too, I realise that no one is judging me, so I made the most of my alone time. First stop was Buzz Light Year's Lazer Blast. Obviously, I was battling myself but I'll admit I put up a pretty good fight. 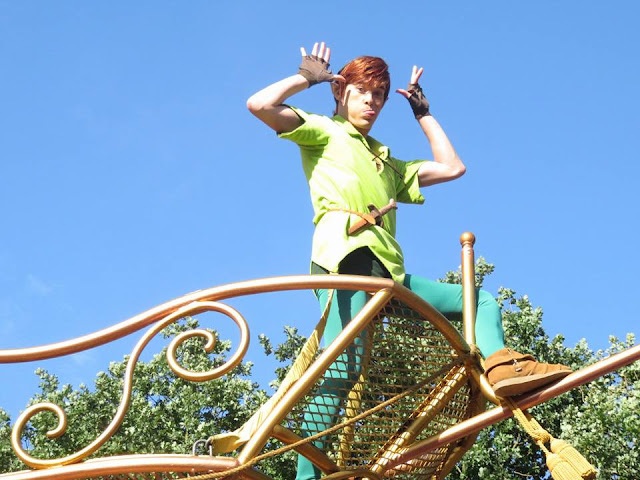 The ride broke down a total of 15 times whilst I was on it, so as you can imagine it took me a while to get around. 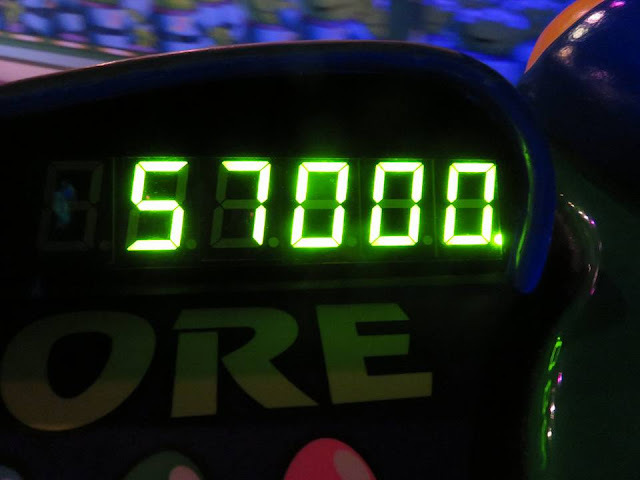 That being said, I got my highest score and became an intergalactic hero. If that's not a good way to start your last day at Disneyland, then I don't know what is. 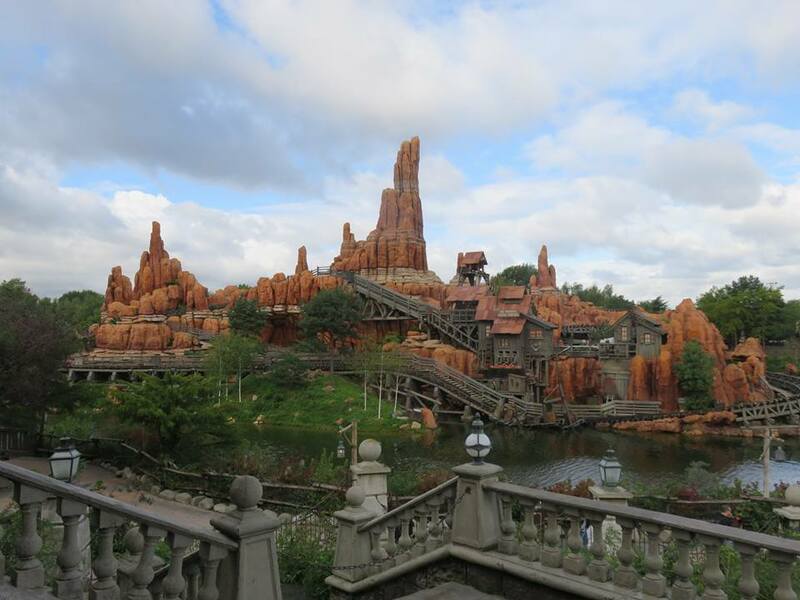 After battling Zurg, I went over to Frontierland. As most of you know, this is my favourite land in the park, I think it has the best theming and it's home to two of my favourite attractions. 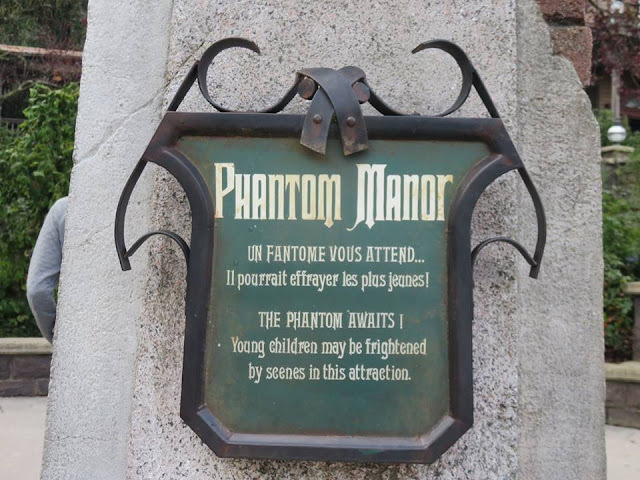 I had a browse in the shops (the western shop is sooo cool), took a few photos and then walked over to Phantom Manor as it only had a 5-minute queue. I pretty much walked straight on the ride and it was definitely spooky, especially on your own. I don't know about you, but I swear it gets darker every time I ride it. When I came off the ride, I knew that the girls would soon be finished in the Studios so I slowly made my way over to Castle Stage for the first Anniversary Show of the day. However, that wasn't without paying a visit to my favourite bear. 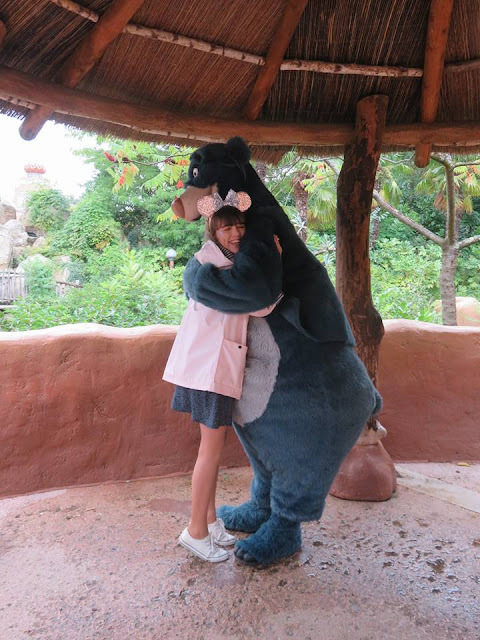 If you've read the majority of my Disney trip reports, then you'll know that there's nothing I love more than a dance and a cuddle with Baloo. 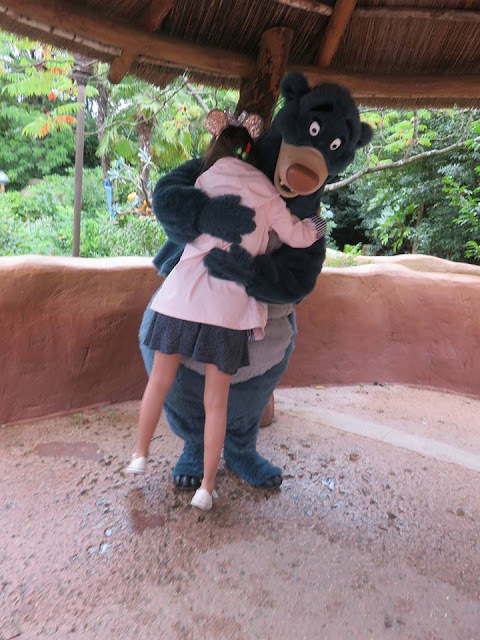 I love him more and more every time I meet him and seeing my Dad's reaction when I tell him that Baloo said hello is priceless. 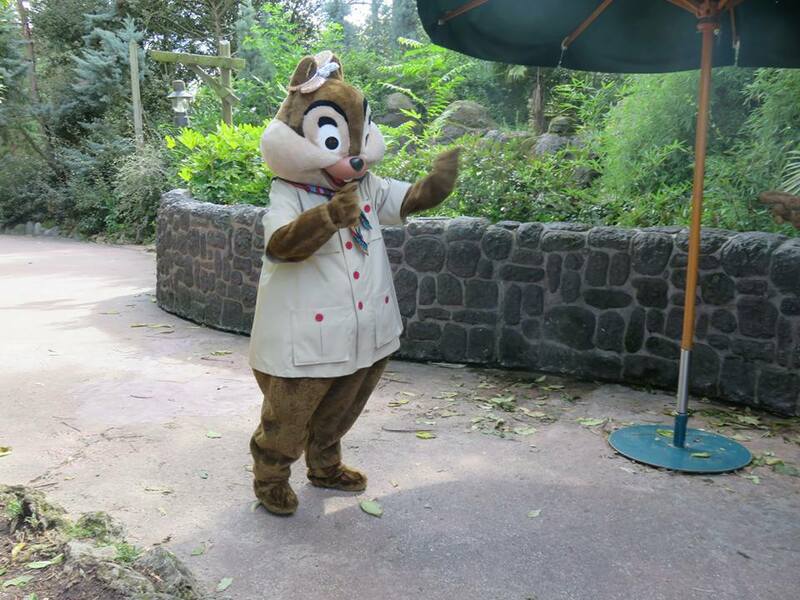 The queue for Baloo is always very short (which makes me so sad), so I jumped in to have a quick chat. 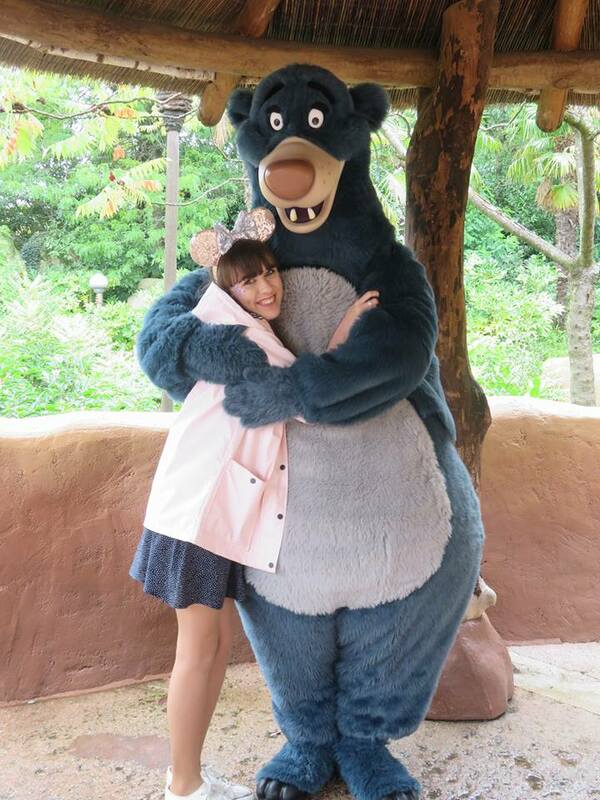 Well, Baloo was just wonderful. He was full of hugs, love and warmed me up on a chilly September morning. 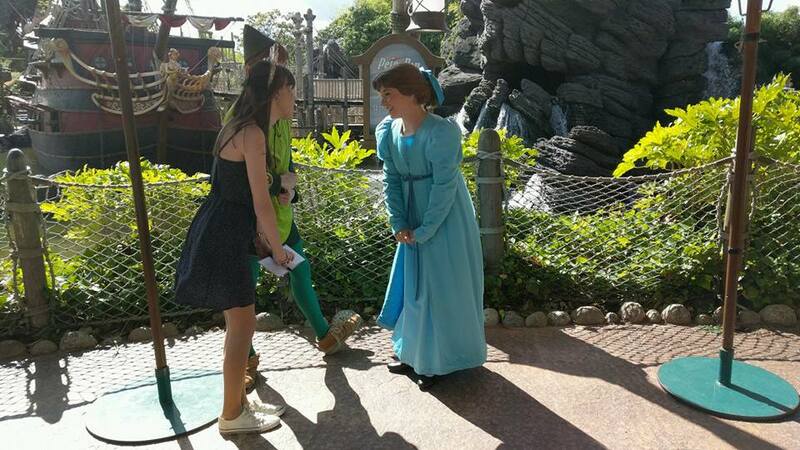 The Character Attendant was more than willing to take photos for me and made the interaction as wonderful as it was. I'm not sure if Baloo recognised me from our previous meetings (it wouldn't surprise me if he did) because when he saw me, he couldn't contain his excitement. We ran to each other and he picked me up as he hugged me. It's one of the tightest hugs I've ever had and I think he knew that I needed it. He told me that he'd been lazing on the river, we had a little dance and he said a big hello to my Dad. 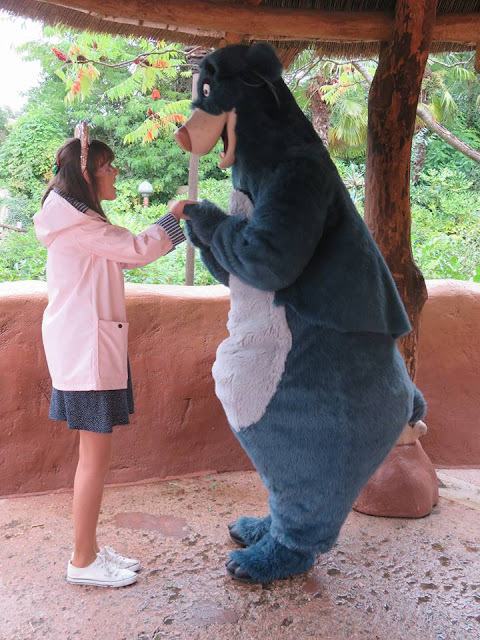 The attendant did a full photo shoot for us, telling us how to pose and where to look but Baloo just wouldn't let me go. He's the best! 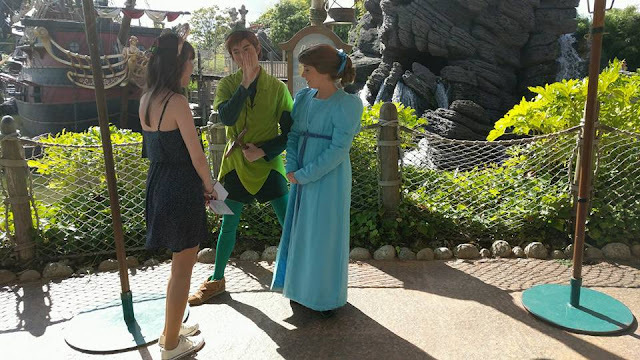 I met back up with the girls at Castle Stage and they told me all about Crush's Coaster as we waited for the Anniversary Show. I absolutely love this show, maybe not as much as Starlit Princess Waltz but the music is so catchy. If you get the chance to watch it when you're there then I highly recommend it. 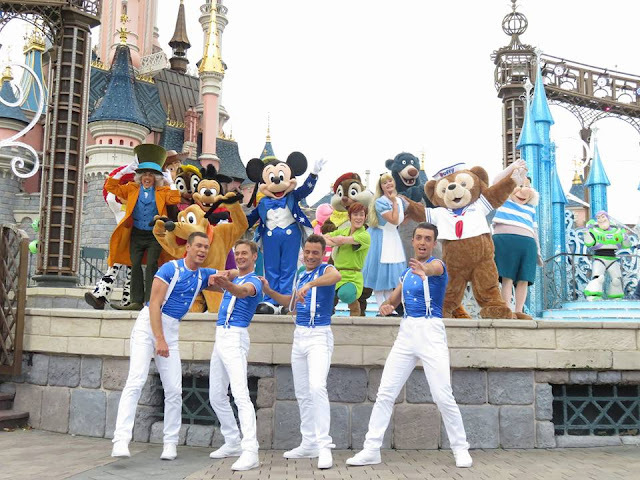 The show takes you on a journey of everything that Disneyland Paris has to offer from Main Street to Discoveryland, with some very special guests along the way. 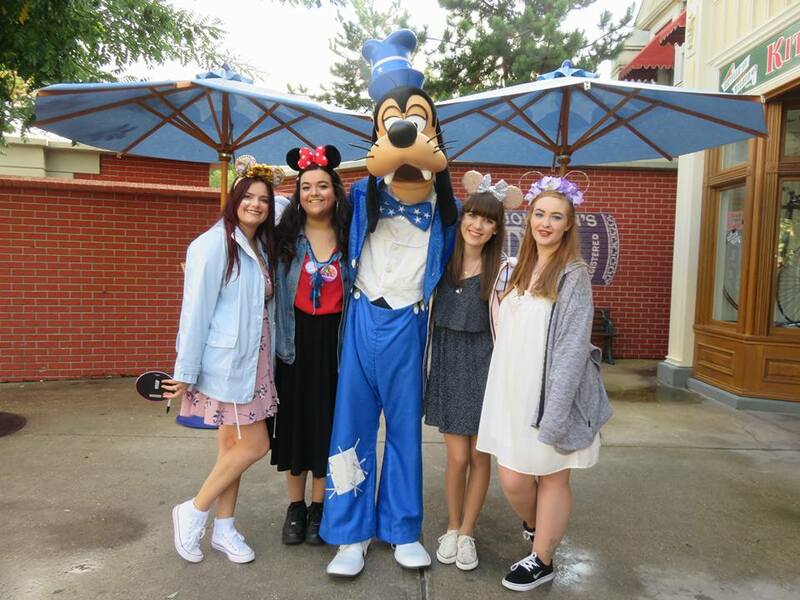 And if you're not singing 'Happy Anniversary Disneyland Paree' after you've seen it, then you're lying. 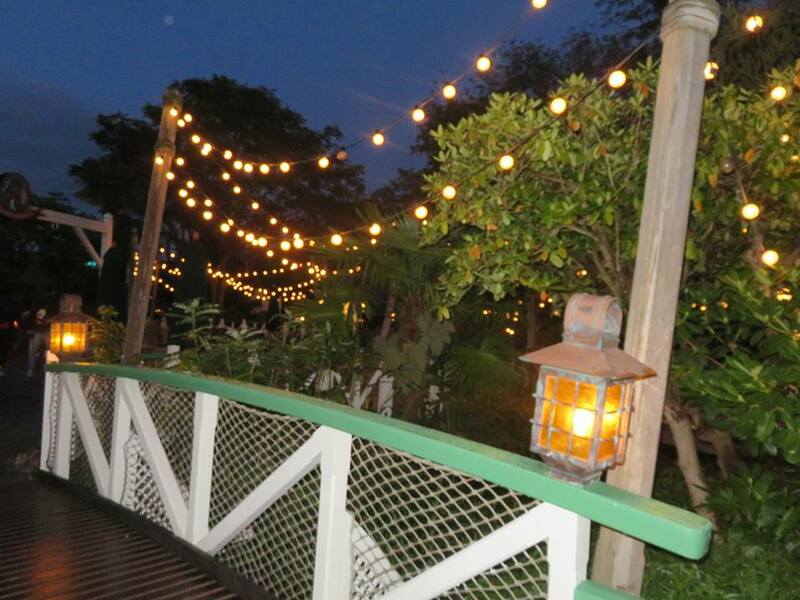 When it finished, we called at Casey's for some chicken nuggets and walked over to the Disneyland Hotel to meet Mary Poppins. 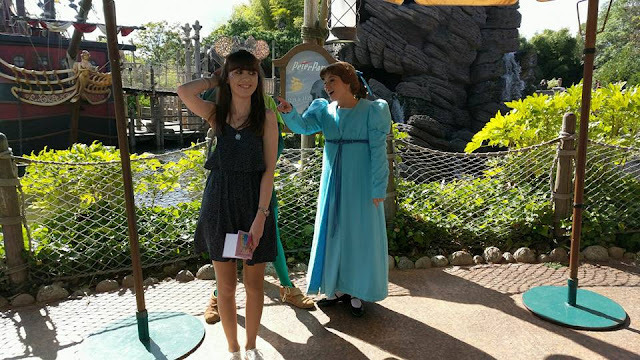 Before we met Mary, we had a lovely chat with Ariel. We spoke about all things mermaid - what colour our tails would be, combing our hair with forks and how life under the sea is better than anything we've got up here. 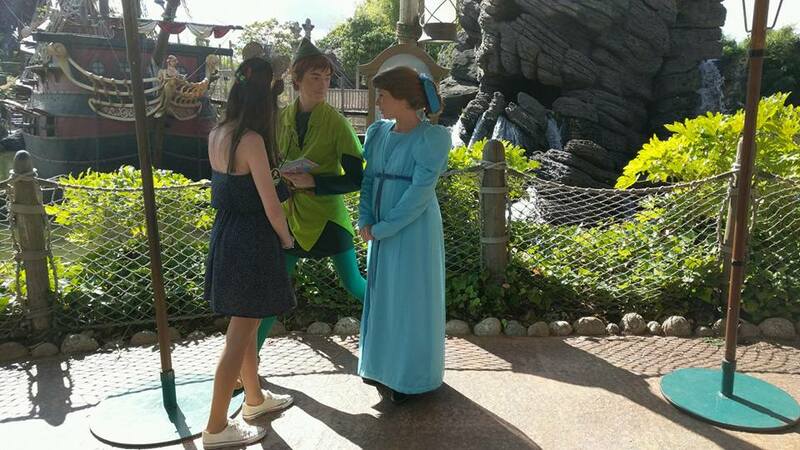 Sadly, I missed out on meeting Mary again as I went over to Adventureland to get a spot in the queue to meet my favourite lost boy; Peter Pan. 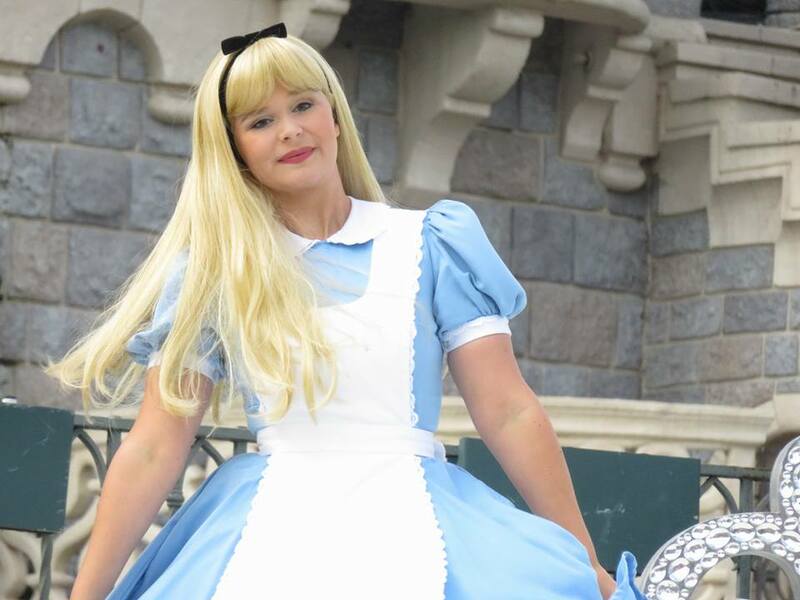 Charlotte eventually joined me to do some attractions and meet characters, whilst Sara and Michelle spent the day sat at Castle Stage watching the shows. When I found out that Wendy was meeting with Peter, I nearly freaked out. I had my Peter Pan bow in my hair, my Tinkerbell badge on my dress and I just couldn't wait to show them. I never know what to say when I meet Peter Pan. Every time I think I'll be really chill and won't make a fool out of myself, but it never happens. The first thing I said when I went up to them was 'Do you like my bow?'. Seriously Meg? Seriously? But luckily for me, he loved it. He asked if Tinkerbell made it and I told him that it was definitely sprinkled with some pixie dust. 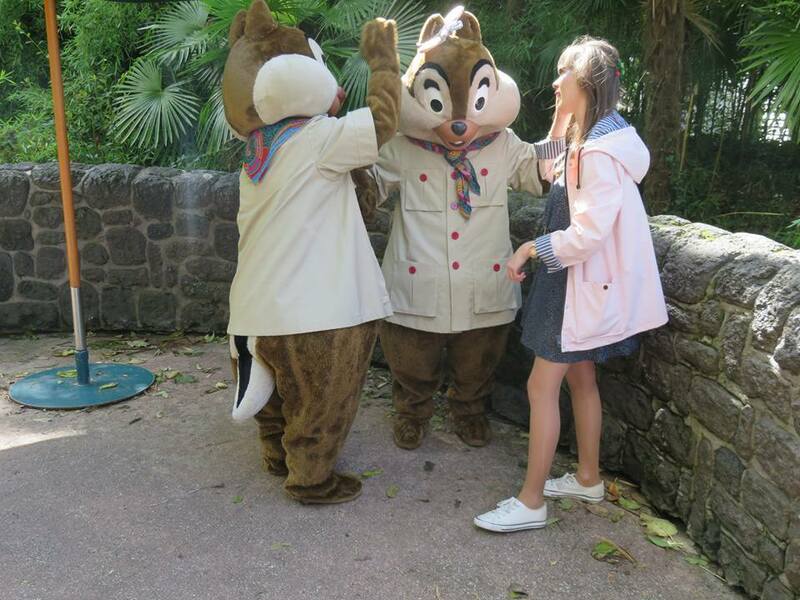 He also told me that I should keep wearing my badge as 'Faith, Trust and Pixie Dust' is a great message to spread. As Peter signed my book, Wendy asked me what my favourite part of the story was. And that was when my mind went blank - you'd never have guessed it's my favourite film. 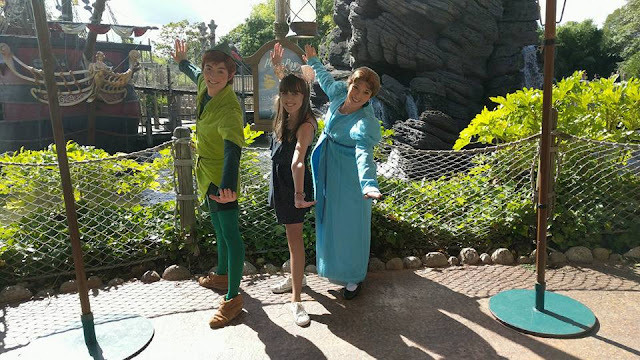 Eventually, I muttered that my favourite part is when they visit Mermaid Lagoon, but Wendy wasn't too happy (as you can probably tell from the photos). Then she took the book from Peter and he told me that she's jealous because everyone loves him. He isn't lying. 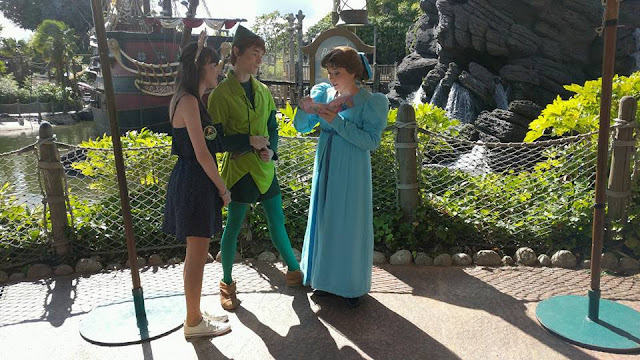 We had another big hug and he promised to take me to see Mermaid Lagoon - we asked Wendy if she wanted to come but she said she'd stay and look after the Lost Boys instead. 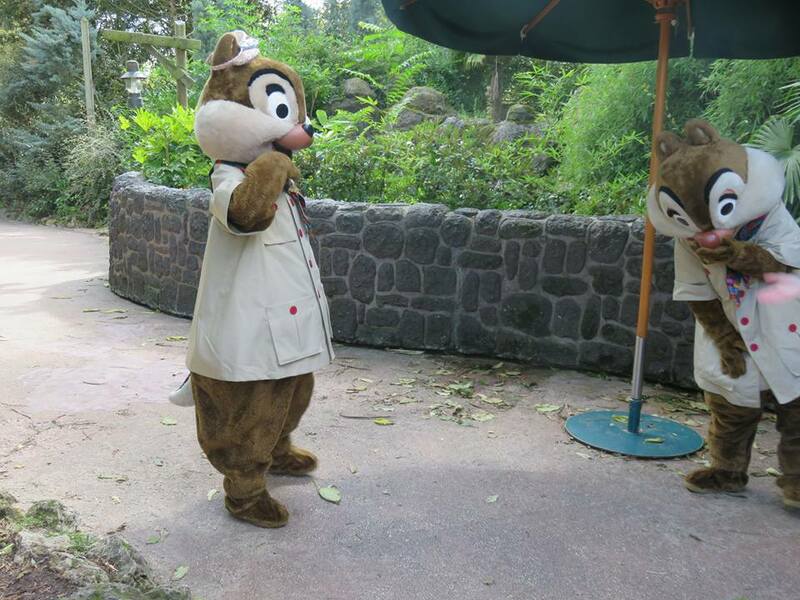 As we ventured further into Adventureland, we came across two cheeky chipmunks causing havoc in the Jungle. 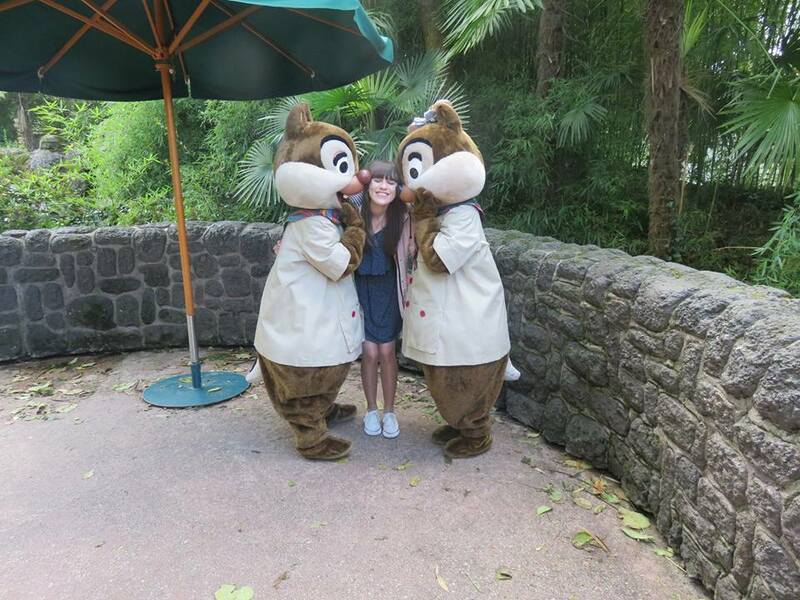 I've always wanted to meet Chip and Dale in their safari outfits so as soon as I saw them, I was straight in the queue. Well, they were absolutely hilarious - Charlotte and I had everyone in the queue laughing. We started the meet in true Meg style - with a big, double cuddle. I told them that they looked very cool in their outfits and asked if they'd been on any daring adventures in the Jungle. Dale told me that they'd found something in the trees and we went over to have a look. 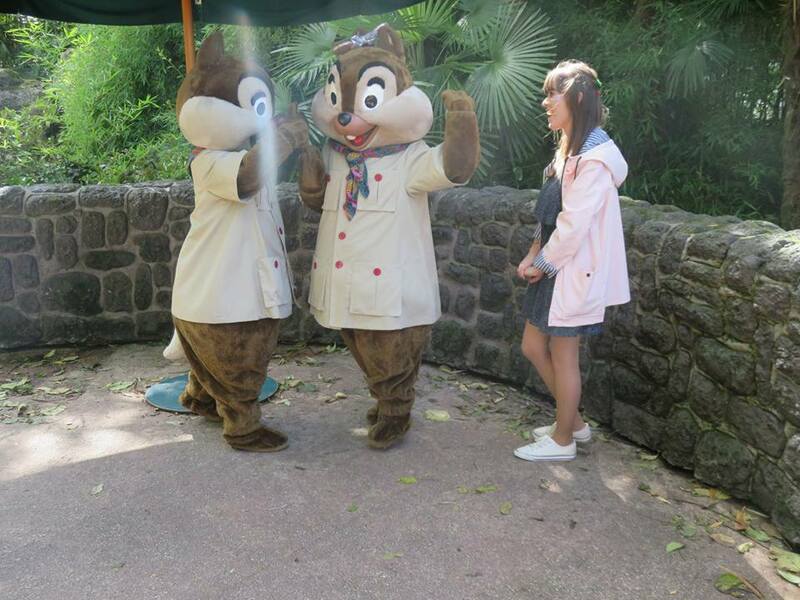 Meanwhile, Chip was admiring my sparkly ears. He kept pointing them out so I asked if he liked them, he nodded his head. I told him that he should get himself a pair and he asked if he could try them on, of course, I said yes. So, I put my ears on his head and he modelled them perfectly. Personally, I think he looks beautiful. Then, we posed for a photo, Chip still wearing my ears, and they both gave me a big kiss on the cheek. 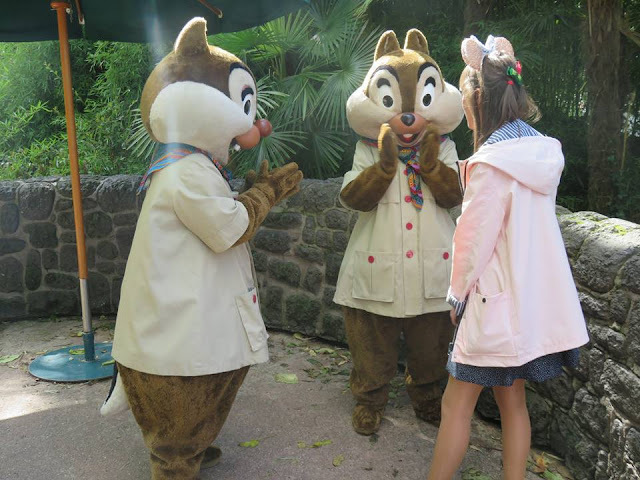 When Charlotte went up to meet them, she noticed that Chip had glitter all over his nose - glitter from my cheek where he'd given me a kiss. They all pointed at me, putting their hands over their mouths because it was obviously my fault. But we soon saw the funny side. 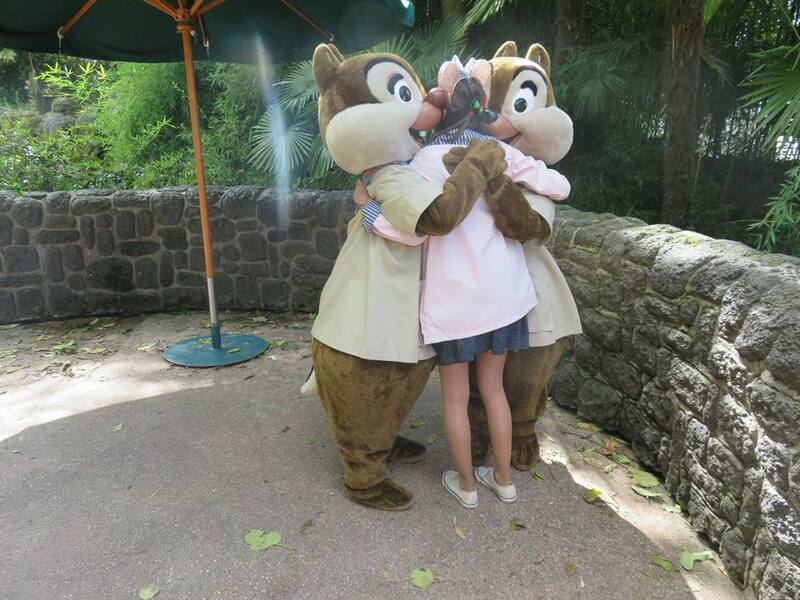 Chip and Dale had a group photo with their female alter-egos, another big cuddle and then said goodbye. Before we knew it, it was time for our final parade of the trip. The interaction was amazing, as always, and the cast members did a great job of getting the crowd hyped. It reminded me of the Disneyland Paris I loved as a kid. 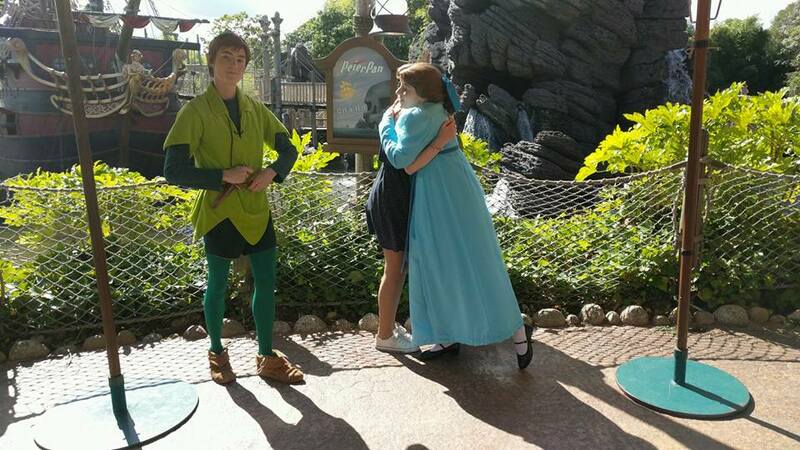 Snow White noticed me again, Peter showed us a lot of love and Wendy came over to give us all another big hug. 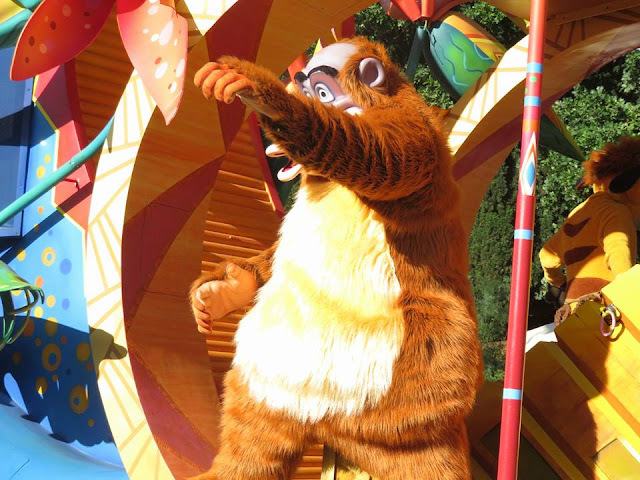 It's such a wonderful parade and Disneyland Paris should be so proud of what they've achieved for this anniversary. 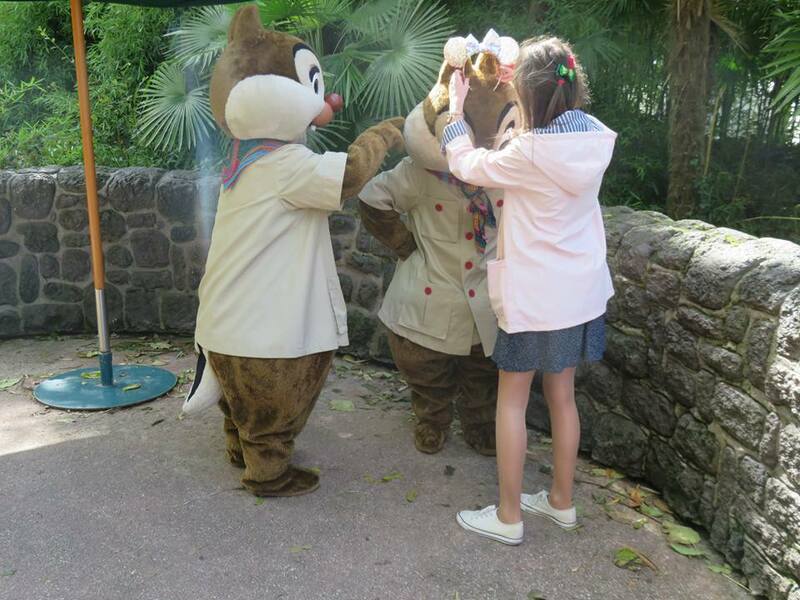 After the parade, Sara and I went to the loo whilst the girls went to save us a space for Princess Waltz. However, when we came out of the loo, they had only saved one space meaning I had to go and stand at the back. Then came a torrential rainstorm. As the girls sat in their front seats and waited for the show, I went to do some shopping in the boutiques of Main Street. I got some super cute gifts for my family and friends and I also picked up some memorable pins too! As my final ride of the trip, I got myself a fast pass and took another spin on Star Tours. 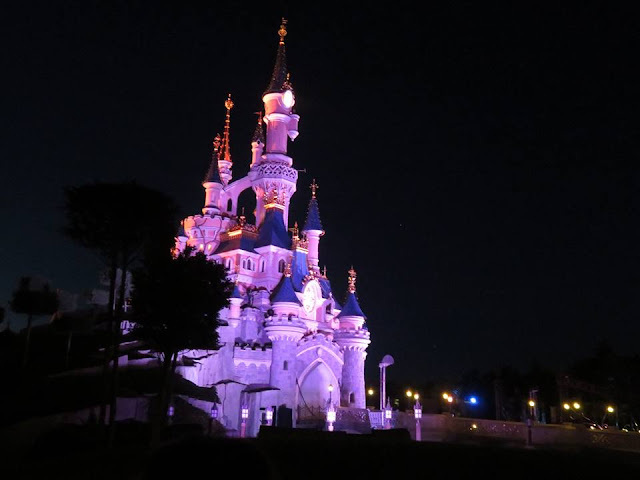 I have a lot of friends who have yet to visit Disneyland Paris who are massive fans of Star Wars, and every time I go on the ride, I can't help but imagine what they'd be like if they ever got to experience it. I'm going to take every single one of them, one day. Then I went back to meet the girls for our last meal. This trip was the first time I've ever felt homesick when being in Disneyland - I don't know what it was. As much as I'd enjoyed every second, I felt ready to come home. We went to Colonel Hathi's for food and being in their, listening to the Jungle Book soundtrack, made me feel really emotional. It reminded me of my Dad and how much I missed him. It also didn't help that Mum sent me a video of the dog sat at the window waiting for me to come home - it was a struggle to hold back the tears. Colonel Hathi's Pizza Outpost is so pretty at night - sparkling fairy lights hang from the trees as 'Bare Necessities' plays in the background. I'd love to take my Dad for a meal in there, I know how much he'd love it. When we'd finished, we walked over to Main Street to catch Disney Illuminations. We got a beautiful spot and it was spectacular - the perfect end to any Disney trip. 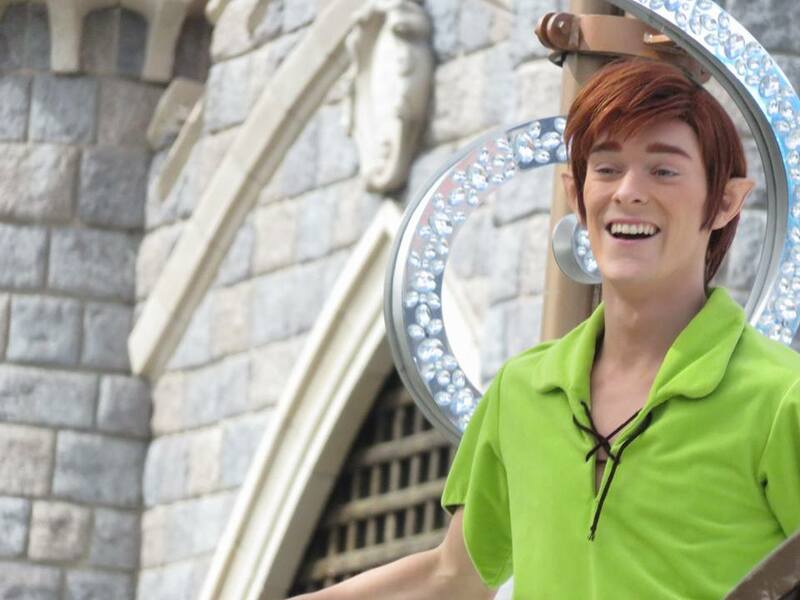 I absolutely LOVE the soundtrack of the show, and if anyone knows who sings the version of 'A Dream is a Wish your Heart Makes' that is used, then please let me know (it brings me to tears every single time). And so that concludes my September Disney Reports. 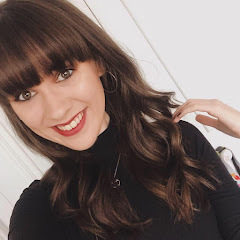 I do hope you've enjoyed reading about my adventures as much as I've loved sharing them with you. 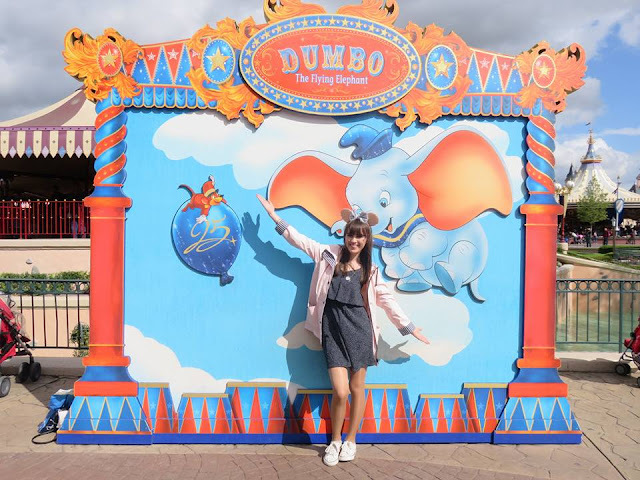 I'm sad to say that this may be the last trip report you see for a while - I'm focusing on Uni at the moment so won't be back in Disney until next year. It's been one of the best years of my life. I'll get too emotional if I write anymore, but I think it's clear from all of the trip reports just what a magical year I've had. 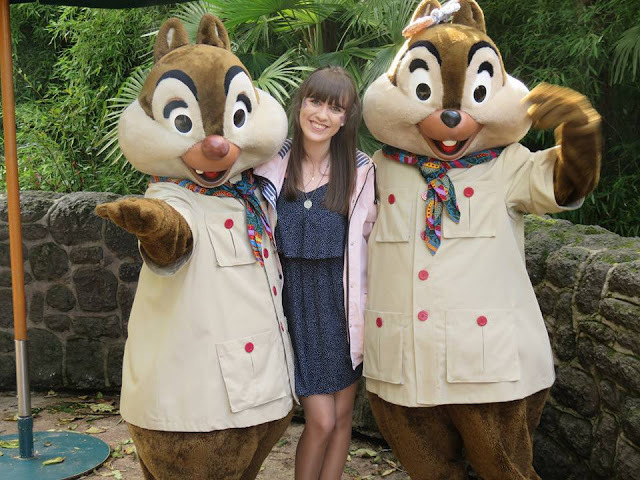 Thanks so much Disneyland Paris, I'll see ya real soon!